The earliest records of oral hygiene were recorded around 3000BC practiced by the Sumerians, where elaborate gold toothpicks were excavated in Mesopotamia. Writings about siwak have also been uncovered, although at that time were made from porcupine quills, feathers or thorns! Around the same time Ancient Egyptians and Babylonians were using the first miswak sticks taken from the Salvadora persica tree known for its healing properties throughout history and even used in modern medicine today. In both India and Arabia miswak has significance during religious rituals and 15 minutes of brushing is said to be the equivalent of 70 prayers. The Romans were innovators of hygiene, bringing sanitation to the Western world, so it is no surprise that they suffered much less gum disease than we do now. Using a combination of cleaning sticks, rags, mouthwash and toothpaste made of herbs and urine, a healthy diet without sugar and also by not smoking they kept healthy teeth found in archeological sites. During the Middle Ages having sweet breath and white teeth was seen as a great attribute, much like today! People used rubbing cloths to clean their teeth with a mixture of charcoal and herbs. Mouthwashes were made from wine or vinegar and sweetened with herbs and spices such as marjoram, fennel, cinnamon or cloves. 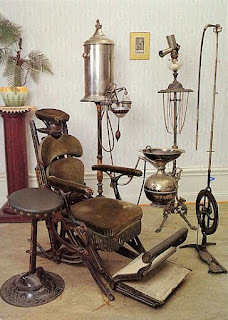 Dental treatment was usually an extraction and done by the local barber with no anaesthetic! 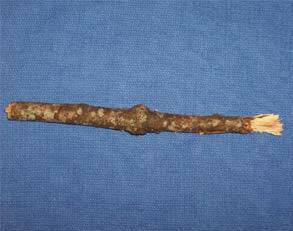 The first toothbrushes we would recognize appeared around 1600AD in China, these early brushes were made from hog’s hair implanted into a brush handle, further West cow’s hair was implanted! 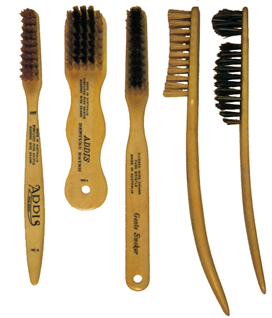 From 1800AD onwards dental hygiene products made leaps and bounds of innovation, early modern toothbrushes were ornate with ivory handles, while much cheaper versions were created for the poor. By the 1900’s studies were beginning which showed the links between sugar and tooth decay and the positive impact of fluoride on the teeth. You can all thank John Patrick Walsh for inventing the dental drill in 1949 and John Naughton (1958) for inventing the reclining dental chair and creating the clinic you have come to recognize. Luckily for you, at Dentist Direct Dubai we invest in the most up-to-date technology and equipment. 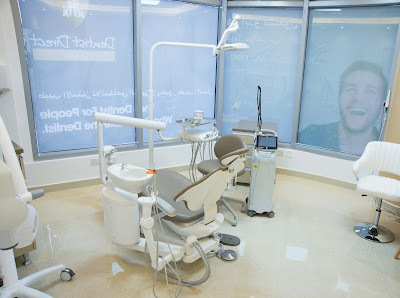 Our dental chairs have a memory foam support and we use WaterLase technology to avoid the drill, syringes are also a horrible history thanks to The Wand anaesthesia system.